Several years ago, I started learning karate with my kids. It began with the desire to do something fun with my children that would help us all to learn new things and grow together. Like many people who begin martial arts, my thoughts were mostly around learning the physical application of a practice that would help me and my children defend ourselves and learn to do things we didn’t know how to do before. What I didn’t realize back then was how much I would learn about myself and life in general. Karate students are typically taught the basic techniques when they begin – strikes, kicks, blocks, etc. In the beginning stage, the emphasis is on how to physically perform these techniques, rather than understanding the application – which comes later, once the performance of the technique is a bit more solid. Gradually, we learned to perform choreographed sequences of basic techniques called katas and one steps. The next level of difficulty we were introduced to, was to utilize these techniques in a non-choreographed way doing things like sparring or self-defense. One day, we were asked to perform something called a Shuhari kata. This was rather unnerving, because unlike the choreographed katas we had been learning, a Shuhari kata is purely the creation of the person doing it. In other words, you begin the sequence standing in the middle of a floor with people expectantly watching you. After a command is issued, your task is to create your own sequence and flow using basic techniques that you have learned up to this point. It requires you to break free of tradition and anything that has been done before, to invent your own application and creative form – one that is completely unique to you. Shuhari, we were told, would never be the same from one person to another – or even one application to another, as they are performed in the moment in response to each person’s imaginative and inspired impulses, which constantly change and evolve. So there we were, called up one by one to perform these Shuhari katas, while being carefully observed by karate masters who had taught us everything we had learned, and fellow students. My first Shuhari kata was rather stilted. I was self-conscious, consumed by the thoughts in my head of wanting to get “right” something that I was told there was no right way to do. I felt certain that I would do something completely inappropriate, something that would draw laughter or judgment. I wanted it to be over as quickly as possible. I still feel that way to some degree about doing a Shuhari kata. But over time, I learned that there is something freeing and exhilarating that happens when you give yourself completely to something – when you forget about the people watching you and your own need to do it any certain way, and you give yourself license to invent and to go with whatever you are feeling in the moment. Upon reflection, I realize how similar Shuhari is to life itself. During the early parts of our lives we are taught how to survive in the world –what is appropriate and not, how to speak, act and otherwise behave in any given environment – at school, at work and within a variety of other social settings. The “Shu” in Shuhari is roughly translated as learned from tradition, which is where we all begin from an early age. At some point, we realize that independent thought is necessary. The rules we were taught as children don’t always apply in every situation. We must use some discernment to determine what behavior will best meet the needs of both our environments and ourselves. We begin to recognize the individual styles and preferences we all have and how in some cases they may go against the “norm.” The “Ha” in Shuhari means to break free of traditional training. When we take a stand against a status quo we believe is no longer serving the greatest good, we have reached this new stage of development. I believe that at some point in our lives, we will find ourselves in a place where we are called to transcend all that we have been taught and conditioned to do and to learn to recognize and flow with our own unique gifts and creative inclinations. The “Ri” in Shuhari represents that stage in martial arts, when the student is able to go beyond tradition because of their understanding and insight into the martial arts. All of the greatest artists and masters – in any discipline – have at some point gone beyond emulating the techniques and styles of others to find and applied their own. It will not always be easy. Just as those who are asked to perform a Shuhari kata, we will be carefully observed by others who engage in and may have even taught us the traditional ways. We will feel exposed, vulnerable and we may lose our nerve. But the more we learn to give ourselves to the inner promptings of our own unique gifts, talent and intuitive insights and inclinations, the freer we will be, and the more beautiful the world around us will become – as a result of what we have given to it from the very core of our being. Driving to an appointment the other day, I went to make a right turn and couldn’t help but notice the people in each of the cars lined up waiting to turn left. One woman had a forlorn expression, and her head drooped over her steering wheel. The woman in the car behind her revealed a smile and an upward glance that seemed full of joy and anticipation. The face of the man in the car behind her was twisted up and his shoulders appeared to be close to his ears. His eyes were locked onto his blackberry, which he held in his free hand. I smiled as I realized that I could relate to each of these people. I could have been any of them at any given time. And then the thought occurred to me that I could be any one of them as the day progressed. Which would I choose? The answer to that question could very well determine the quality of my entire day, and could also quite likely impact the quality of the day of those around me as well. Every once in a while when I go out running I see a little old man riding a beach cruiser. In the dawn hours, as the sun begins to rise above the horizon, the light on his handlebars shines brightly. He is kind of a round man with short, fuzzy white hair and bright blue eyes. He pedals his bicycle so slowly that it is a wonder they both don’t just fall over. But what is most striking about him is that he is always smiling. Every time I see this man, rain or shine, it seems he has something to be happy about. And his smile isn’t just the polite grin that people often flash as they enter each other’s space. It is the kind that comes from a deep satisfaction and wonderment with life. The little light on his bicycle shines brightly at the crack of dawn, but the radiance around him is even more vibrant. I find myself hoping to see him on my morning runs and experiencing a wave of joy and delight every time I do – feeling lighter and happier just for the experience of having crossed his path. His presence alone is truly inspiring. I think emanating a positive presence is one of the most crucial things leaders can do for people. And to have this kind of influence and effect on others, you don’t have to have a fancy title, a bunch of people reporting to you, or even be a part of an organization at all. 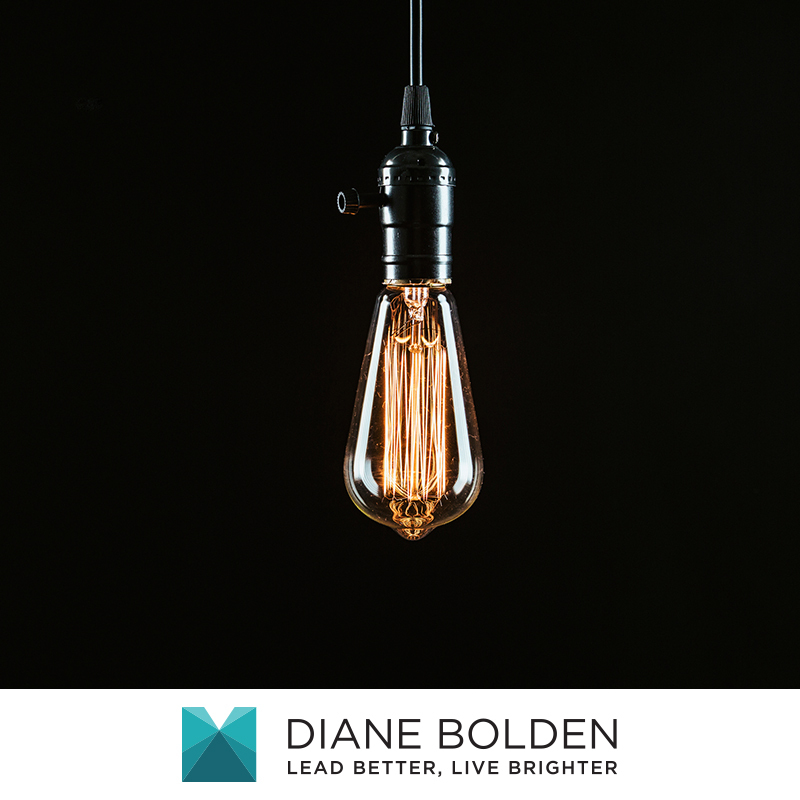 People pick up, consciously and subconsciously on the energy we emanate – and for better or worse, those we spend a lot of time around will often align themselves with it. 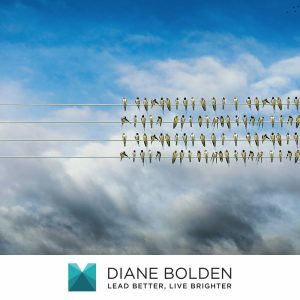 True leaders – in any setting or vocation – are consciously aware of the tone they set through their own presence. They use it to uplift and inspire others, seeing the brilliance of everyone and everything around them and always reflecting it back. I wonder whether that little man on the beach cruiser has any idea of how profoundly he has affected me. And I wonder if you realize the effect you can have on the lives of everyone around you as well… maybe without even having to say a word. Have you ever noticed that your experience directly reflects your state of mind? When our minds are cluttered, our surroundings have a way of mirroring that. Feelings of being scattered are often accompanied by piles of unfinished business everywhere you look or lists and notes of things to do that seem to multiply. When you feel heavy and bogged down, everything you do will feel harder and more cumbersome. You may think that the way you feel is a result of your experiences, and that is true — the more you have to do, the more overwhelmed you will feel. But the reverse also applies — the more overwhelmed you feel, the more you are likely to approach things in a way that draws them out — perhaps by procrastinating, making things more complicated than they need to be, or using more energy to resist and worry than it would take to actually get things done. If we become fixated on evidence that suggests we can never rise above the way we are feeling, we trap ourselves in vicious circles where we will continue to see that which we long to rise above and feel the frustration of not being able to break free. In fact, our frame of mind with everything we do will have a direct effect on whether the experience of doing it will be exhilarating and satisfying or frustrating and heavy. The stories we tell ourselves have a way of coming true – “There’s just way too much to do and not enough time to do it. I’m too busy to do anything fun, to take time out for my family, friends or myself, to ever get beyond the day to day and into those things I dream about…” The way out of the traps we set for ourselves is to start not with our experiences, but our thoughts. One day a while back, I turned into my driveway and caught sight of the hedges that needed trimming. “Wouldn’t it be fun to drop everything and go cut those right now – to just get out there and work in the yard for awhile?” I found myself thinking. And then I laughed as I realized that this task that seemed so enjoyable compared to the list of things on my plate at that moment was one of the very things I was dreading a few weekends ago. The task itself hadn’t changed, just the way I was thinking about it. And it hit me that perhaps there was a way to transform all the things I needed to do that day — which were really bringing me down — into experiences that could be lighter and simpler — and maybe even fun. 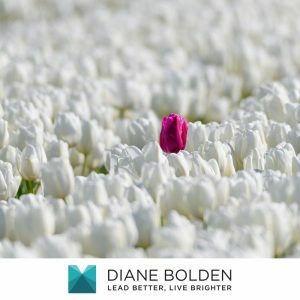 The key had to be in the way that I approached them – in what I was believing about them, and what I was focusing on as I did them. 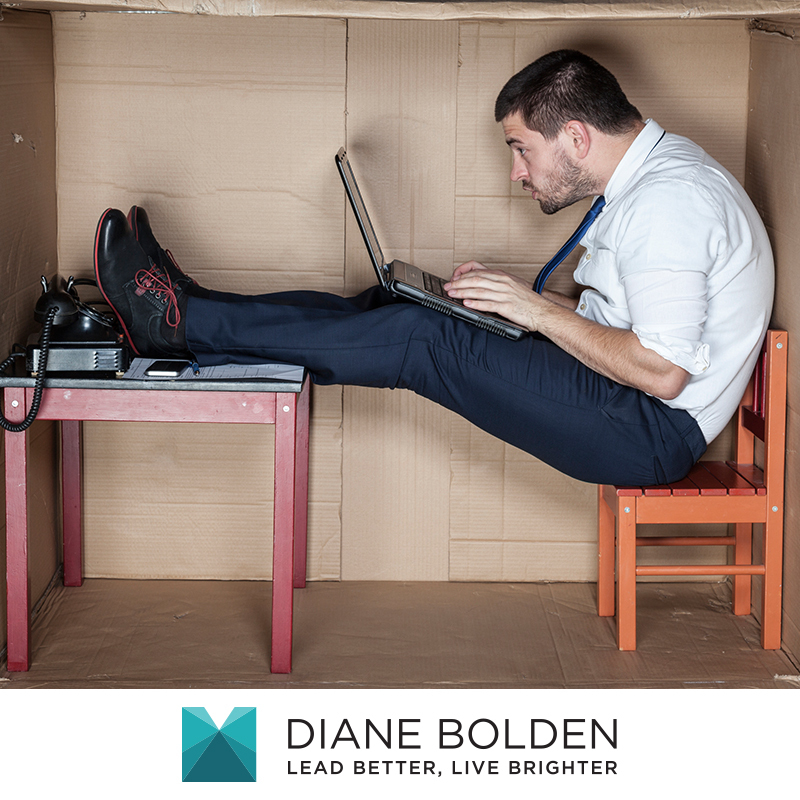 As I became aware of my attitude toward the tasks at hand, I realized that I was more fixated on checking the box than I was on enjoying the experience. And I was also swept up in the belief that the work ahead of me was going to be hard, onerous and complicated. What if all that changed? What if instead of believing I had to get everything done perfectly, I just played at things, took myself a little less seriously, and lightened up a bit? And what if instead of believing I needed to get it ALL done, I just focused on what was most important — most aligned with the highest priorities in my day and in my life? And what if instead of driving solely toward the outcome, I allowed myself to be fully present in every moment that led up to it? Hmm. Marcel Proust once said, “The real voyage of discovery consists not in seeking new landscapes, but in having new eyes.” And I have also heard it said that when you change the way you look at things, the things you look at change. There is no better time to apply this than during the holiday season, when all too often the spirit of giving, joy, celebration and miracles gives way to stress, fatigue and overwhelm as harried people run themselves ragged trying to check a bunch of boxes and take care of their regular responsibilities and routines in addition to a multitude of additional tasks that often feel more cumbersome than joyful. The paradox is that even things we do that are meant to be fun can become overwhelming when our focus shifts from the joy of doing them to the desire to get them done and behind us. The fundamental shift must come not in what we do, or even how we do it, but what we are thinking, believing and allowing ourselves to feel about what we are doing. To this end, setting an intention or statement of our desired experience can be very powerful. If what we want is greater freedom and joy, more meaning and satisfaction and heightened effectiveness, we must align our thoughts around enjoying those experiences before we even start. And we need to become diligently aware of the degree to which our thoughts stay aligned with our overarching intention. When they drift, we can come back to them, remember what we really want, and align ourselves with the state we wish to be in once again. In this way, we break the vicious cycle of allowing our experiences to bring us down in ways that result in more lousy experiences — and begin anew. We consciously align our thoughts with what we most want, rather than letting them denigrate into the negative emotional states we seek to rise above. 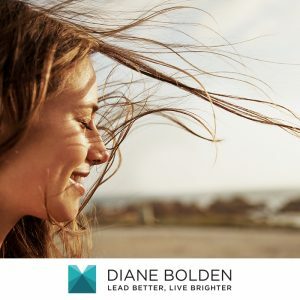 Our actions align with our thoughts, and we find ourselves coming up with creative ways to simplify, get focused on what is most important and get it done while enjoying ourselves in the process – and sharing our joy with everyone around us. The lights are dimming and the crowd begins to hush. Music blares from all corners of the dark, expansive room. A spotlight illuminates the stage and cuts a circle in the red velvet curtain that falls from the ceiling above. In front of that curtain are proud parents and antsy siblings squirming in their seats, eager to be entertained. And behind it are nervous school children with hearts pumping and nerves tingling. Throughout their grade school years each of my kids have appeared in a variety of shows along with many of their friends and fellow students. They practiced for months. And I was one of a myriad of parents that toted children back and forth from rehearsal to rehearsal where the kids gradually perfected their acts and readied themselves for the spotlight. Finally their time would come. As with every talent show, there were those who burst onto the stage with contagious energy and bright smiles, soaking up every ounce of the experience. And there were others who walked onto the platform and suddenly shrunk inside themselves, painfully aware that an entire auditorium of people were staring at them, watching and waiting expectantly. I think every one of us has likely been in both categories at one time or another. Maybe not in a talent show, or on any kind of stage at all. But in our own everyday lives. In the theatre of our work, in the arena of our interaction with others — colleagues, customers, bosses, friends and acquaintances. Sometimes we rise to the occasion and we are present, effusive, bright and shining with enthusiasm and warmth. And other times, perhaps we sink inside ourselves — intimidated, nervous, awkward and doubtful. In the latter scenario, there is no judge more critical than the one that lives in our own heads. Allowing it to hijack our attention, we quietly exit the scene while our bodies remain, vacant and taking up space. We nod our heads and smile, hear what others say and even comment sometimes. But we are far more engaged in an internal dialogue that has us believing we are not good enough, that we must be a little more of this or less of that. It has us planning and evaluating what we will say in response to a person who hasn’t even finished speaking, their words eclipsed by the roar of preoccupation going on between our own ears. This is a dismal state to be in. In the midst of all the cruel self-judging, that part of us that is brilliant and loving, warm and engaging in whatever way is uniquely ours is dismissed. Or perhaps disallowed. How could we let it come forth while we banter about in our heads that we need to be anyone other than who we really are? At the variety shows, I really don’t believe the audience would judge a poor kid standing speechless or stuttering at the edge of the stage — but rather would cheer him on, showering him with beams of encouragement and love, silently wishing for him to loosen up, forget about the audience and have a little fun and just be himself. And perhaps it is that way in our arenas as well. When we withhold ourselves, we cheat others of knowing the brilliance of who we really are. But before we cheat them of it, we cheat ourselves. Many of us are taught and conditioned to be humble and avoid the appearance of arrogance. But we confuse arrogance with self-love, which is actually a prerequisite to humility. True arrogance is the product of someone who has no self-love, and tries desperately to convince others he is superior and worthy of the very thing he denies himself of. True humility occurs when we embrace our own greatness and love ourselves. A healthy self-love keeps us from having to worry about how we are coming across or what others think of us, because we already know we have value. In embracing our own value and allowing our brilliance to shine, we light the way for others to do the same. It is this brilliance that will transform our world. It brings with it the creativity and ingenuity to rise up to our challenges and allow us to do things we never thought we could. Far from being self-absorbed, sharing our brilliance in this way is the most generous and loving thing we could do for others. But before we can do it for them, we must do it for ourselves. So the next time you find yourself engaging in a vicious dialogue that has you believing you are anything less than who you are and keeps you from bursting onto the scene, recognize that for what it is — an old pattern that isn’t doing you or anyone else any favors. The less you feed that dialogue, the less “self absorbed” you are and the more generous you can be with your brilliance. The audience begs you: come onto the stage, forget that you are being watched, have a little fun being who you really are — and show us all how to truly shine. One day when my son Ryan was eight years old, he came home from summer camp with a riddle. “Mom, pretend you are in a box that is sealed shut – air tight – with no doors and no windows.” OK,” I replied, picturing walls on all sides of me. “How do you get out?” he asked. “You stop pretending!” he said with a wide grin spreading across his face. This little riddle has profound implications for all of us. Because we have a way of creating our own boxes every day of our lives. Sometimes we do it when we wake up with preconceived ideas of how our day is going to be. We do it when we make a judgment of whether or not we believe people will come through for us, or whether we will be able to come through for ourselves. We create boxes that keep us walled off from our greatest potential and the myriad of possibilities that exist all around us when we believe that the chances of achieving something are less than optimal. And I believe this is true. Perhaps we can also increase our creativity and effectiveness by recognizing the ways in which we create our own boxes to begin with so that we can prevent them from reigning us in altogether. Anytime you believe an assumption, you’ll tend to act in ways that validate it. You may believe we cannot do something because there is no evidence that suggests you can. But the lack of evidence is a direct result of believing something about ourselves that is based completely in conjecture. Many times the only real evidence we have is actually a lack of evidence. Our beliefs can impact people around us too. When you believe an assumption about others that suggests they are not capable of achieving something, you may well act in ways that can bring out their insecurities and doubts, thus inhibiting their performance. It is not uncommon for people to be accomplish amazing feats in front of some audiences and become all thumbs in front of others. But there is a way out of that trap. When we find ourselves being intimidated by others who may have doubts about our abilities, we need to be aware of the fact that their doubts are not what is inhibiting us at all. Their doubts are only triggering the stories of inadequacy we have about ourselves – and that is what gets in the way of our ability to do any given task. When we begin to pay attention to what it is we are believing, we can question the validity of our assumptions and take steps to disengage ourselves from beliefs that keep us reigned in. The key is not to simply get rid of our assumptions. What we really need to do is replace our limiting beliefs with empowering truths. Rather than focusing on what’s going wrong, we can focus on what’s going right and build on that. Instead of beating ourselves and others up for our seeming shortcomings, we can appreciate our strengths and the progress we have made and go from there. We can move from the improbable to the possible and look to the talent we and others possess that will help us to achieve it. Our doubts are like the walls of a box that keep us from seeing and acting on the array of possibilities all around us. The truth about who we are and what we are capable of dissolves those walls and allows us to bust out of our boxes so that we can experience life as it is truly meant to be lived – unencumbered, limitless, and free. So, if you find yourself in a box, remember the advice of an eight year old boy – and STOP PRETENDING. Most of us have people in our lives that for whatever reason lead us to temporarily lose access to our fully functioning brains. You may find that in their presence, words suddenly escape you. Or worse, they seem to pour out of you like diarrhea or projectile vomit, leaving you to feel even more uneasy. Perhaps you unexpectedly develop a stutter. Maybe you become unusually clumsy, or suddenly fixated on how large your nose (or some other part of your body) feels. These are the kind of things that happen when we are intimidated by someone. People intimidate us for a number of reasons. Intimidation can be triggered by someone with an explosive temper, or a person who tends to be critical of you. It could come on when you are around someone you really want to be liked by. And sometimes it happens when you are in the presence of people who seem to have all the things in life that you do not, from stunning physical attributes to lavish material possessions to prestigious job titles. 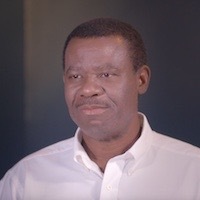 But there is one common denominator present when you find yourself intimidated by another person and believe it or not, it has very little to do with any of the previous factors I mentioned. The root of all intimidation lies in what you are believing about yourself in any given moment. It is easy to conclude that the problem exists somewhere out there. You might think it’s the way someone looks at you, or responds (or doesn’t respond) to you. And you might even believe – if so and so wasn’t in my life, I would be so much more confident and self assured. But the problem isn’t other people – not even people who may intentionally be trying to tear you down a notch. You may think their hurtful messages are to blame. But the trouble isn’t hearing hurtful messages from others. That wouldn’t explain why people are intimidated by those they envy or really want to be liked by – who may never actually say anything at all. 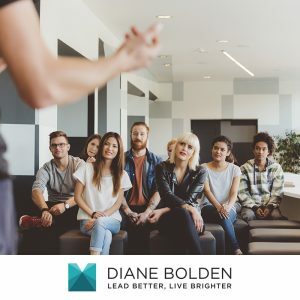 The reason people intimidate us is that in their presence we are telling ourselves that we are simply not good enough, attractive enough, rich enough, powerful enough, articulate enough, smart enough, skinny enough, athletic enough – or ENOUGH altogether. And worse, we are believing it. When you believe you’re inadequate, you will cut yourself off from your brilliance. Sometimes it’s just a little kink in the hose that still allows a small portion of your competence or grace or talent to come through. And other times it’s just an all out blockage. It’s not that all those wonderful things about you have gone away. You just temporarily have trouble accessing them. And then you may panic and find that things get even worse. So how do you remove the blockage? What can you do to avoid becoming intimidated and losing confidence? Well, the interesting thing about intimidation is that the root of it is also the remedy. When you find yourself going down Intimidation Street, you can stop and redirect yourself down a more positive path simply by becoming aware of and eventually changing your thoughts. I admit that this is much easier said than done. However, as with so many things in life, it gets better and better with practice. (1) Think of someone in your life in whose presence you feel really good about yourself. Go ahead and try it right now. See if you can place yourself in that person’s presence and feel the way you do when you are together. You might find that you are sitting up straighter and holding your head higher just at the thought. Know that when you are with that person, you are the same you that you are when you are with people who intimidate you. See if you can envision being in the presence of someone who intimidates you while you are feeling the way you feel when you are around someone you feel loved and admired by. Imagine how much easier it would be to interact with others while you are in this state. Practice this in your mind often. The next time you are around someone who intimidates you, use the exact same process. Treat every interaction as an opportunity to build this muscle for yourself. And before you know it, you will find that your behavior will become more consistently confident and self assured. You may also notice that the things that used to send you into a tailspin no longer really bother you. (2) The next time you find yourself feeling intimidated, notice what you are believing. Then ask yourself if it is really true. This may be difficult to do when you are standing in front of someone, so if it’s easier you can wait until the moment has passed. You may find when you reflect on the situation that you felt the way you did when you were a kid and realize that those feelings are no longer relevant. You may be believing that there is something you need to do or be to win someone’s affection or approval when in reality you just need to relax and be yourself and let go of needing so much to be liked by others. You may be believing that the other person is thinking something negative about you that is purely conjecture you are poisoning your mind with. When you notice and begin to challenge your assumptions, they lose their hold on you. It’s kind of like being in a haunted house after the lights have been switched on. You can go back there when it’s dark again, but it’ll never scare you the way it might have before. (3) See if you can shift your focus from what you think you need to what you can give. As I mentioned before, we get intimidated when we feel we are lacking in some way. And then we tend to act in ways that will allow us to get what we think we need to feel better. Often that comes in the form of someone’s approval or affection. Think of what kinds of things you think you need from others in order to feel more confident. Is it a smile? Is it a compliment? Is it someone paying attention to you? A little appreciation or support? See if you can find a way to give to someone else that which you believe you need. And do it in such a way that you are not expecting anything in return other than to be of service to another human being. In other words, don’t give to get. Give because it makes you feel good. When you do this, you will find yourself reconnected with the reserves that you are most in need of. Because when you give something – even if it is something you think you don’t have – you realize that by the very nature of giving it to others, you become an abundant supply. If you would like to learn more about building confidence, being authentic, and moving beyond old patterns that keep you from fully enjoying your life, check out my book, The Pinocchio Principle: Becoming a Real Leader, available at Amazon.com or BarnesandNoble.com. Image courtesy of Marcus74id at FreeDigitalPhotos.net. Every day offers us a new challenge and an opportunity to see what we are made of. Some days more than others. Think of all the resources you have at your disposal to rise up to these challenges. You have your intellect, style, wit, humor, strength, resilience, patience. You have friends and colleagues, family members, and other special people in your life. You have your possessions, your resources, your health, your savings, your home. When you get down to the bottom of things, one of your most valuable resources – which allows you to enrich every other aspect of your life, is the way in which you view yourself and what you believe you are capable of. This one thing plays a monumental role in determining your fate, because it drives your actions and responses to everything that happens to you. You know it when you see it, don’t you? A confident person walks into a room and doesn’t have to say a thing. They wear their faith in themselves and their abilities like comfortable clothing. They do not need to be arrogant or assuming. They are at ease in their own bodies. What exactly is confidence? And how do you get it? Confidence is something that must come from the inside out. What do I mean by that? Every day we face challenges and opportunities that allow us to exercise confidence. We can do things today that we were unable to do last year, or maybe even last week. When we get to a point where we no longer question our abilities and simply execute the task at hand in a manner that is fitting to the situation, one could say we are acting with confidence. Exercising confidence does not require that anyone else believe we know what we are doing, or even that they witness us doing anything at all. It requires us to do what must be done at any given time, utilizing the resources at our disposal and calling on our own strengths, ingenuity, and discernment to do it. It is easy, however, to fall into the trap of trying to gain confidence from the outside in. We often go about our tasks with an eye on the perceptions of others and allow their reactions to determine our confidence level. A positive response increases our confidence, and a negative one decreases it. When we repeatedly engage in behavior like this, we will subjugate our ability to perform and stunt our inherent talent by interrupting its natural flow. Imagine yourself standing in a room trying to balance on one foot while holding the other in your hand and looking up at the ceiling. Now add about fifteen to twenty people to the room who are trying to do the same thing. If you worry about whether you look good and imagine that everyone is staring at you, you will lose your balance (and your confidence). If, however, you center yourself and focus on the task at hand, you will find your core strength and a sense of calm, and you will achieve your goal. It may take awhile, but you will get there. This phenomenon becomes more complex when we assign value to others’ perceptions. The opinion of someone we highly regard may weigh more heavily than someone we don’t. And strangely, getting validation from someone who doesn’t seem to think well of us can have more significance than hearing praise from people who are our biggest fans. Why? I think we tend to focus our attention on that which mirrors our own thinking. Criticism stings the most when it amplifies our own self doubt. And when we find ourselves craving acknowledgement from others, it is likely because we are withholding it from ourselves. As we go about trying to win approval, we allow others to define our sense of self. And as a result, we grow ever more unaware of the treasure that sits in our own back yards. We leave our true fortunes to seek things that glitter and fade. The harder we try to win the confidence and validation of others, the further we will get from achieving it and the more deeply buried our inherent riches become. Rather than acknowledging evidence that is all around us which confirms that we are competent, creative, talented, worthy and capable of achieving great things, we waste our energy focusing on what we believe is lacking. As a result, we pay attention to data that validates our feelings of inadequacy, which leads us to act in ways that sub optimize our potential. This further erodes our confidence and we risk locking ourselves in vicious cycles of deteriorating performance and eroding self assurance. Confidence is an inside job because we cannot expect others to believe in us if we do not believe in ourselves. To be truly free, we must become independent of the opinion of others. This does not mean we stop seeking feedback or valuing input and suggestions. It simply requires that we learn to become unattached to others’ approval and instead draw upon our own inner reserves. When we stop seeking validation, we find our centers again and learn from our own experiences and inner wisdom. Practice and simple adjustments allow us to find our zone, listen to our intuition and slowly perfect our game. Becoming quietly confident, we lose the need to prove that we are right, defend our honor or value, and impress others. We simply do what is ours to do in any given moment and judge our success on the merits of the work itself. When we truly go within to discover and unearth our own value, a funny thing happens. Over time, we will come to be surrounded by people who mirror our own positive assessment of ourselves. Criticism may still come, but it will no longer have the sting it once did. Void of the emotional charge, we can take feedback for what it is – data that helps us to see something we may have missed, so that we can make a course correction if necessary. No longer basing our value of ourselves on what others think of us, we can refocus the energy we spent seeking validation into helping others recognize their own value. In modeling this behavior, our increased confidence in ourselves engenders confidence both in and from others, and we can truly lead. When we have confidence in ourselves, we regain a sense of power and faith. No matter what happens in the uncertain world around us, we know we have what it takes to rise above our challenges and turn them into opportunities. We act in ways that show others they too have the ability to shape the world around them by starting with themselves. 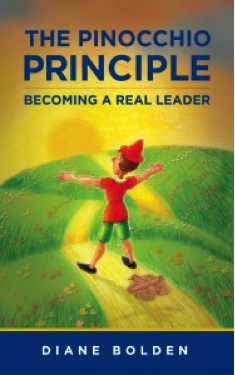 This article contains excerpts from my book The Pinocchio Principle: Becoming a Real Leader now available in both ebook and paperback formats on Amazon. 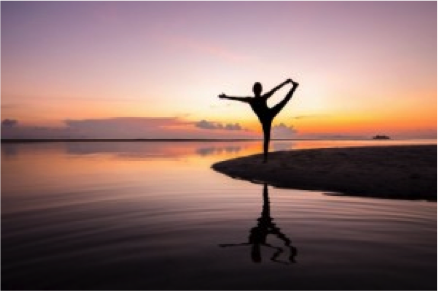 Yoga image courtesy of arztsamui / FreeDigitalPhotos.net.